The M&R Companies are pleased to announce that SGIA has named Challenger III Product of the Year in the Automatic Garment Press category, and has named i-Image S Product of the Year in the in the Pre-Press (Exposure/Imaging) category. The M&R Companies are pleased to offer another two-day course in basic screen printing at the company’s branch office in Miami, Florida. The M&R Companies are pleased to provide equipment and support for the 53rd annual SkillsUSA National Leadership and Skills Conference Championship (NLSC) in Louisville, Kentucky on June 19-23, 2017. 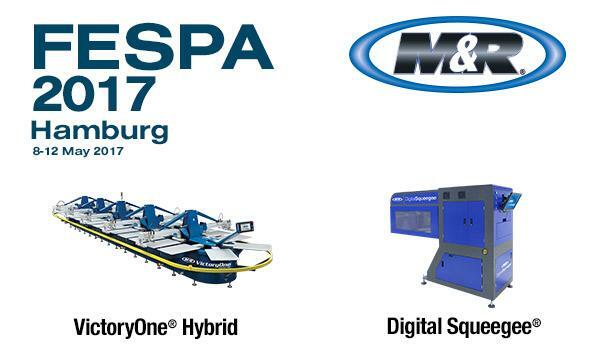 The M&R Companies are pleased to announce the upcoming appearance of two of its newest products—DigitalSqueegee® and VictoryOne® Hybrid—at FESPA 2017. The M&R Companies are pleased to announce that SGIA’s Road Trip: Apparel Decorating for Insiders will take place at M&R’s headquarters in Roselle, Illinois on June 9-10, 2017. Event sponsors include EasiWay Systems Inc, Fruit of the Loom, and Rutland Plastic Technologies, Inc. The M&R Companies are pleased to announce the acquisition of Novus Imaging. The M&R Companies are pleased to provide the venue for T&J Printing Supply’s two-day Print University training program. 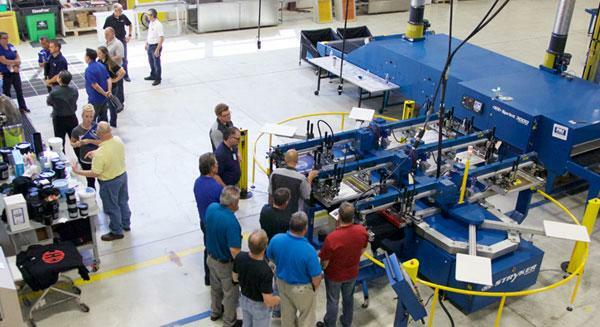 Participants will also get a tour of M&R’s new state-of-the art manufacturing facility. The M&R Companies are pleased to introduce the DigitalSqueegee® high-speed direct-to-garment (DTG) digital printhead. The M&R Companies are pleased to introduce the VictoryOne® automatic oval screen printing press. 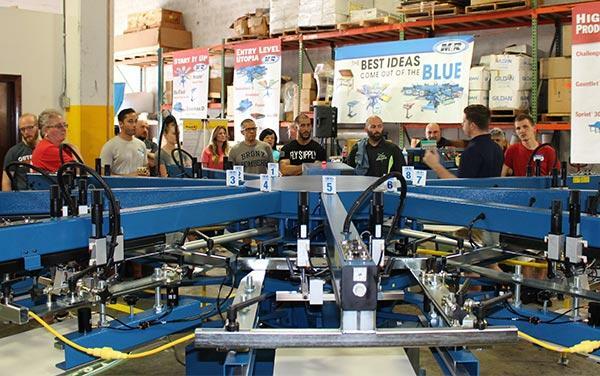 The M&R Companies are pleased to offer a two-day course in basic screen printing at the company’s branch office in Miami, Florida.